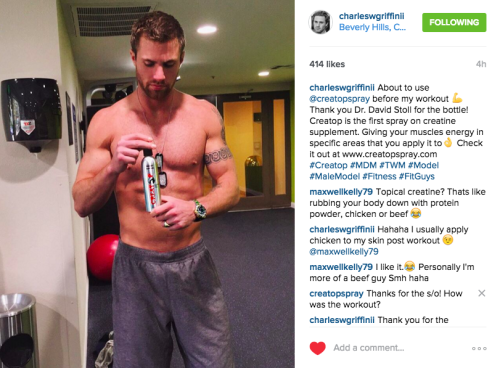 Model Charles William Griffin II from Beverly Hills, Calif. tried Creatop for the first time this week. We asked Charles afterward how the workout went. He says Creatop provided a great boost for him throughout his Friday sweat. Safe to say he’s a new member of #TeamCreatop.